http://maientertainmentlaw.com/?search=canadian-pharmacy-viagra-legal We don’t enjoy going out to dinner on Valentine’s Day. http://cinziamazzamakeup.com/?x=siti-sicuri-per-comprare-viagra-generico-pagamento-online-a-Roma It’s overcrowded, the service isn’t always the best and working in the food industry, I can not relax and enjoy myself knowing that the restaurant is desperate for you to finish and leave so they can sit their next reservation. follow url Since Valentine’s was on a Friday this year, it made it easy to go out for our Valentine’s celebration on Saturday night instead. We wisely chose Bink’s Scottsdale. 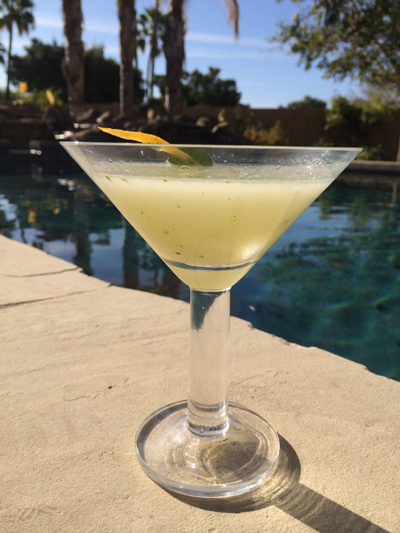 Bink’s Scottsdale is the newest more casual and relaxed venture for Kevin and Amy Binkley, chef-owners of the best restaurant in the Valley, Binkley’s Restaurant in Cave Creek. 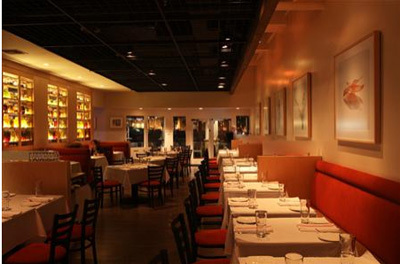 There is also Bink’s Cafe in Cave Creek and Bink’s Midtown in Phoenix. Dinner was, of course, fantastic. 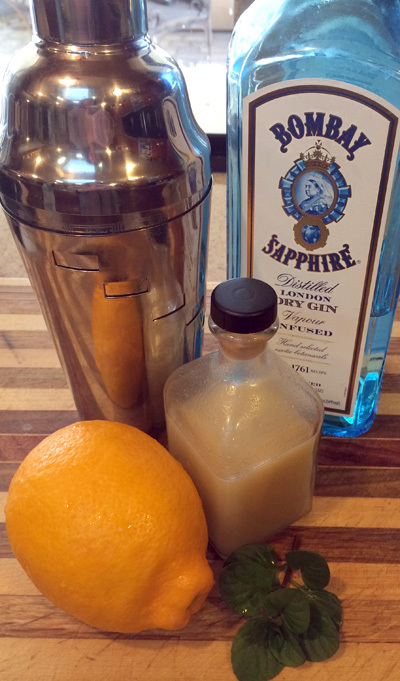 The one thing I had that I thought I might be able to recreate was the Queen’s Affinity Cocktail. 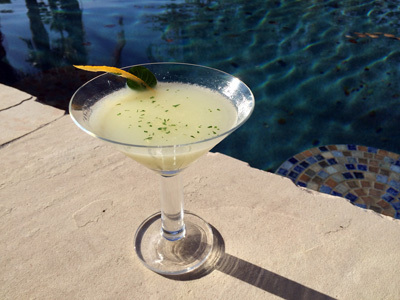 The menu said that it was made with Bombay Sapphire, Orgeat, and muddled Lemon and Mint. 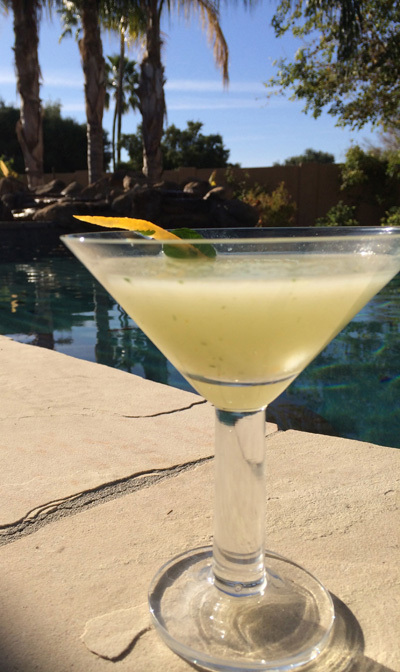 Before I made the cocktail at home, I had to figure out what the heck orgeat is and then find out where to buy it or how to make it. Orgeat is pronounced “or-zsa” – “zsa” as in Zsa Zsa Gabor. After some research, it appeared that orgeat should be easy enough to find at any liquor store. 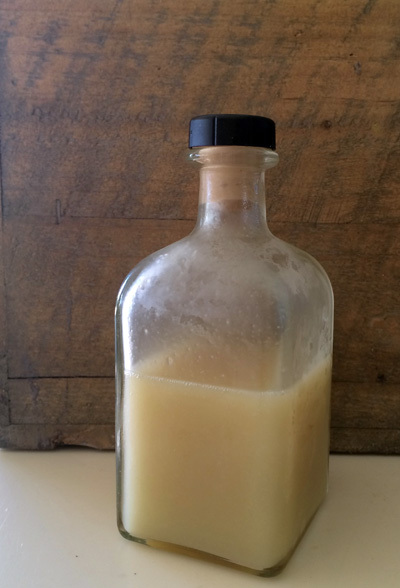 I also learned that homemade orgeat is far superior to store-bought. As a result, I made my own. 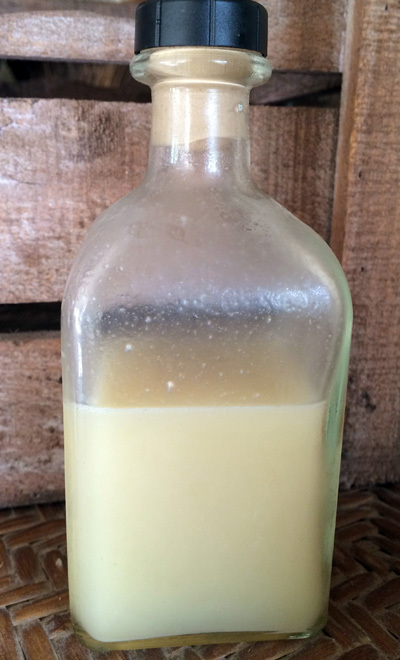 First I shall share with you a recipe for my Queen’s Affinity Cocktail Knockoff and then for the Homemade Orgeat. 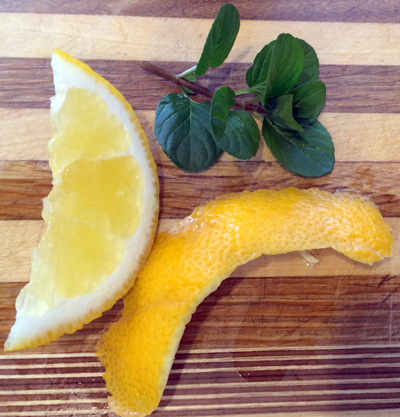 Place the lemon wedge, lemon strip and mint sprig in a cocktail shaker. 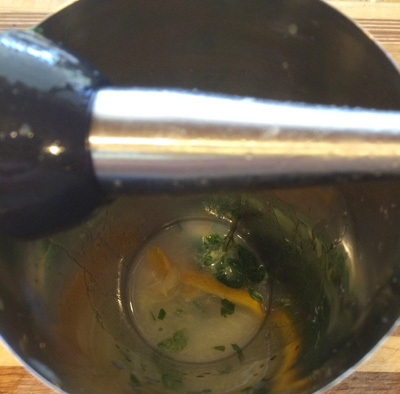 Use a cocktail muddler to crush well. Add the gin and continue to muddle for another minute. 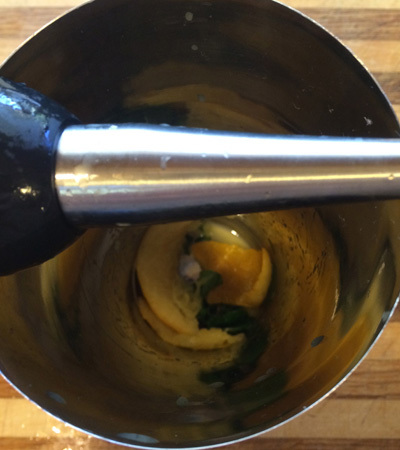 Add the orgeat and ice and shake for at least 1 full minute. 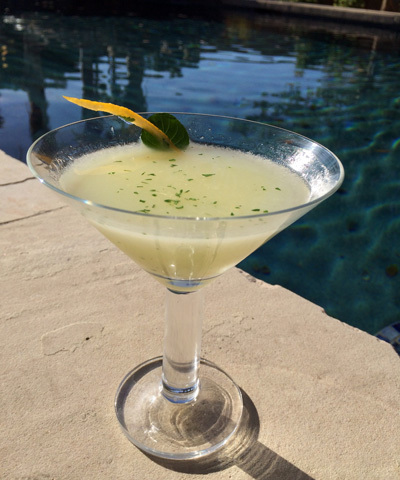 Strain into a chilled martini glass and garnish with lemon twist and mint. Serve immediately. 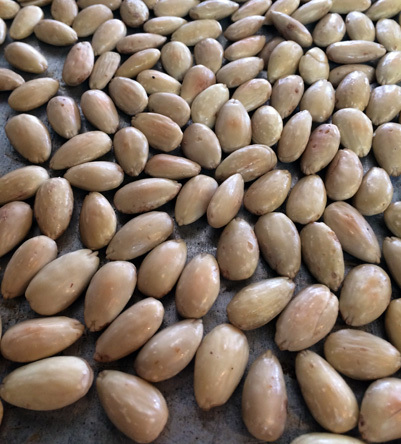 The orgeat uses raw blanched almonds. 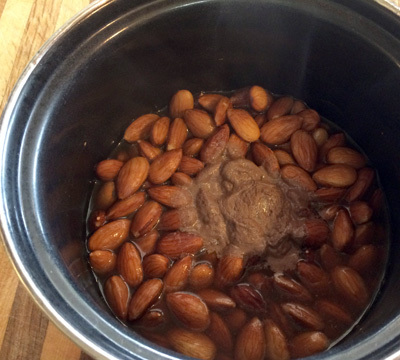 If you can not find blanched almonds, they are easy to blanch yourself. 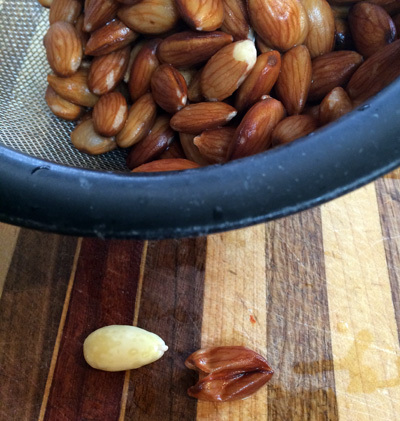 My recipe starts with raw almonds and I show you how to blanch them. If you start with blanched almonds – just skip to fifth sentence of the instructions below and begin with the toasting of the almonds. 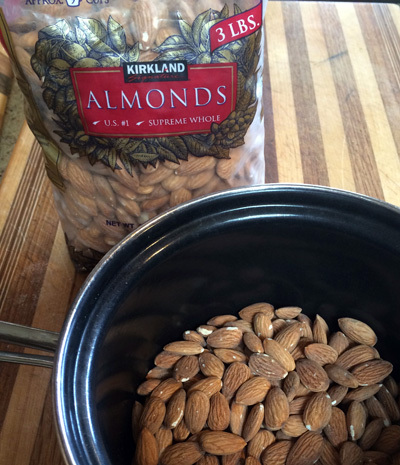 Place the raw almonds in a saucepan and cover with water. Bring to a boil. Remove from heat and pour into a strainer, rinse to remove the scum that has risen to the top. 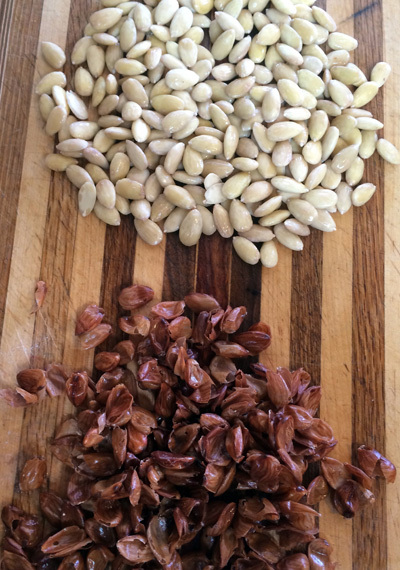 To remove the skin, pinch each almond and the skin will slide right off. It may seem labor intensive, but honestly, it only takes a couple of minutes. Toast almonds at 400 degrees for 6 minutes, shaking after 3 minutes. 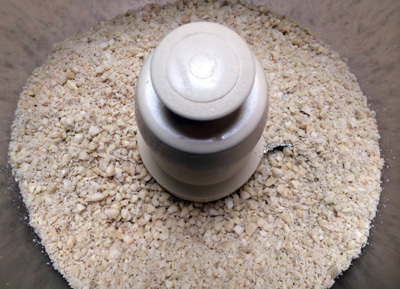 Cool almonds and then grind finely in a food processor. 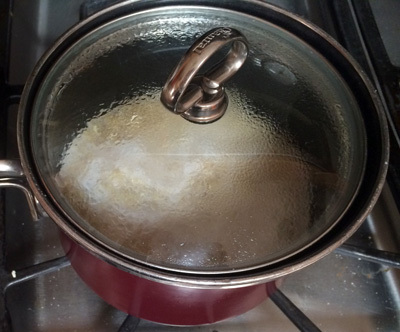 In a saucepan, cook the sugar and water on medium heat until the sugar dissolves and the mixture starts to boil, about 3 minutes. Add the ground almonds and simmer on medium heat, stirring constantly. When mixture is about to boil, remove from heat and cover. Let it sit for a minimum of 3 hours or up to overnight, but for no more than 12 hours. 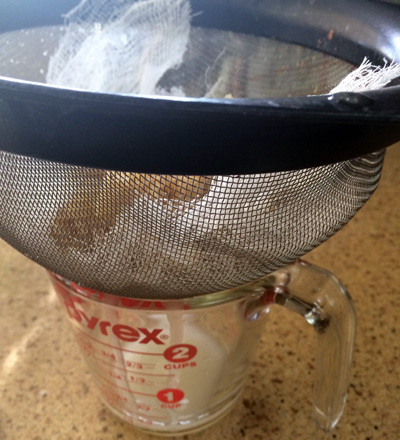 Strain steeped mixture through a double layer of cheesecloth into a large measuring cup, squeezing the cloth as you go. 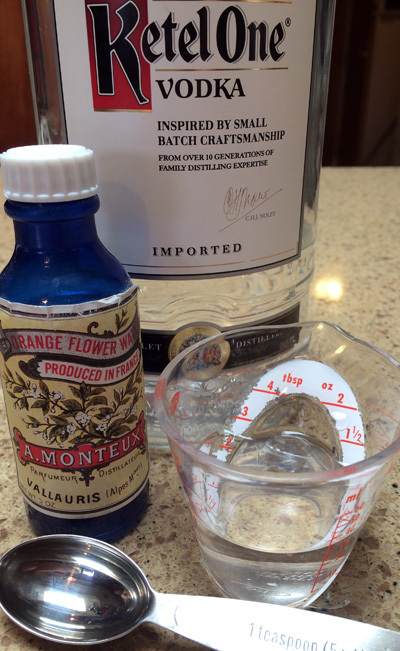 Add the vodka, orange flower water and almond extract, then stir. Pour into a glass bottle. Store in the refrigerator, for no more than 1 month. Orgeat may also be stored in the freezer for up to 4 months. Since there are oils in almonds, the syrup will separate. Shake before each use. If frozen, the liquid will freeze a bit. Let thaw for a few minutes on the counter, then shake – it is then ready to use and be returned to the freezer. * Orange Flower Water can be found at some grocery stores in the baking or liquor aisle, as well as Mediterranean markets, or online HERE. source link Notes: It you don’t want to waste those ground almonds, you can make cookies and crumbles out of them. Spread the ground almond mixture on a parchment or Silpat lined baking sheet and bake in a preheated 450 degree oven for 12 to 15 minutes. 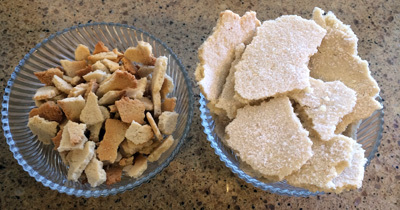 The result will be thin, not too sweet, almond cookie with a chewy texture from the center and crispy crumbles from the edges. The crumbles are fantastic sprinkled over ice cream. 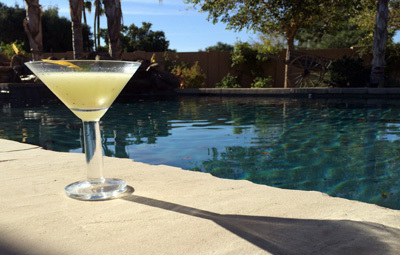 Gosh – sitting by the pool w/ a cocktail sounds really awesome right about now. Now that I have bought the frozen garlic and basil at Trader Joes. what is the best way to use and in what kinds of dishes ? Can you just drop on or two of the garlic into a soup stock?